The cars in front, jostling for space, displayed uneven numbers. Tomorrow, cars would be even- numbered. This odd-even rule has just been imposed as a green initiative of the government to cut down on toxic fumes which have been hitting the international newspaper headlines. My driver said it was working. Yet Delhi is one of the greenest cities in India with various parks, a golf course and gardens breaking up the busy infrastructure. Step out of the airport and Delhi spears your senses. It’s noisy, crowded and chaotic. Beggars and sellers weaving through the traffic packed with old fashioned Morris cars. Green & black tuk tuks are packed with families and loads of household goods. Saris flowing and colours bright. Dehli is just over 8 hours from London, with regular direct flights operated by Air India, British Airways & Virgin. A fraught forty five minute race from the airport and you are in the centre. Currency is available on arrival and be prepared to feel rich, pounds or dollars earn thousands of rupees. The purpose of my trip was to check out the potential for Medical Tourism, especially from Europe in the light of the increasing trend for affordable medical treatments away from home. In the UK, NHS waiting lists are long, while private care is very expensive and out of reach for many. Lower prices for high quality medical care, such as hip and knee replacements, osteopathy, bariatric treatments, are a serious proposition to interested consumers wishing to arrange treatment while combining the visit with a holiday with family and friends. However, hygiene, safety and third world country perceptions are key questions raised when India is considered an option for medical tourism. 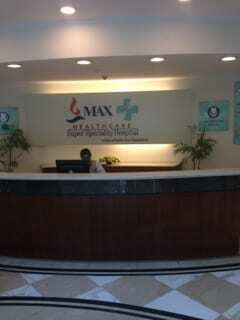 Visits to three major hospitals, The Apollo and The Max in South Delhi and the Medante in the newer district of Gurgaon provided insight into these concerns. At each security was very much evident, and, with the exception of the Max Hospital, people and patients were channeled through security gates and all bags scanned. Hygiene in each is a priority and no food or drink is allowed on to the wards. The wards are calm, quiet and have additional security at the entrance. Many of the surgeons have been trained and have worked in the UK and therefore language is not a problem. For other countries, translators are readily available. Most of the hospitals offer a transfer service and will meet the patient and one companion at the airport and transfer them to their hotel. International patients are usually assigned a relationship manager throughout their visit so transfers and arrangements are hassle free. Between hospital visits, I was drawn to the culture with its history and architecture. I was to learn that the same gifted Mughal Emperor, Shah Jahan who brought us the Taj Mahal, also built the Jama Mosque of Delhi and Delhi’s capital, Shahjahanabad, with its magnificent Red Fort. 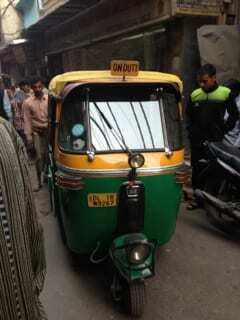 A rickshaw ride through the narrow streets defines daily life in India. Hold on tight and keep alert to tuk tuks creeping alongside you. Here there are merchants draping richly coloured silks to captive buyers, street food offerings and trailers laden with misbalanced goods manually pushed between the crowds. The Apollo Hospital is located in the south of the city, convenient for hotels such as The Leela, Oberoi and Crowne Plaza, dependent of course, on budget and choice. The Apollo is one of the oldest hospital groups. On arrival, it is organized chaos but the uniformed car porter seems to convey a sense of order. The entrance security is reassuring while the crowded reception area soon clears to different the departments. 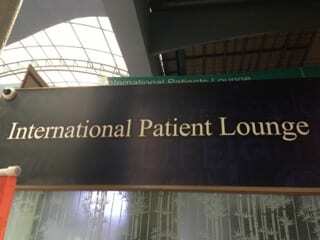 International visitors are received at a designated area and have assistance throughout their stay. The hospitals all offer a range of specialists treatments and require full medical reports from potential patients to assess before providing a full package quote. As for travel, a medical visa is required for which hospitals provide details and visas can be obtained from the Indian High Commission for a fee which are then valid for 6 months. Patients are discharged from hospitals only on the authority of the doctor and a certificate for air travel issued after follow-up consultations. After care is offered through tele-communication. 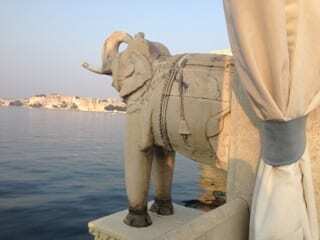 And the location of the Lake Place Hotel, a Taj property which is purely magical, set on its own in the middle of the lake in full view of the surrounding shore. It’s white silhouette oozes colonial style. A private jetty welcomes residents in style, transporting them to its reception lobby. Built in the 18th century, it has been recently refurbished to an exceptional standard. Just a short flight to Udaipur from Delhi, Rajastan’s Udaipur is much quieter and calmer and famous for its mountain backdrops and lakes. The city itself has two distinct areas , the old and the new. Most of the big hotels are located in the new part while old city houses the City Palace complex, the Jagdish Temple, meandering streets and busy markets. A boat trip around the Picholet Lake is a must, especially at sunset with a stop to explore the Island Garden, Jag Mandir, set in the middle of the lake with manicured gardens, restaurant and views from every corner. This venue is often used for special functions, frequented by many a celebrity. Built in yellow sandstone and white marble the City Palace complex was built in 1539 high up to avoid attack. Its three gates symbolize liberty while the original horse stables have been converted to small shops. Leave time to explore as there is much to see with museums, the palace gates and two hotels one of which is Shiv Niwas Palace, managed by the King of Udaipur as part of the Historical Resort & Hotels group. It’s a short 35 minute hop by plane to Jaipur, from Udaipur, otherwise known as the Pink City, painted by instruction from its founder, Maharaja Jai Singh in honour of the visiting Prince of Wales, (King Edward V11). It was the first planned city in Asia, designed on a grid system, and portrays a modern, more advanced India, with wider streets, jewellery shops and beautiful architecture styled in palaces and museums. Said to be the second wealthiest city, it’s history is defined by past Mughals. Be prepared to be immersed in history. A drive past the Wind Palace shows where the Royal ladies were hidden from public view. Around the city, snake charmers seek attention by performing this age old tradition, while monkeys jump from palace roof tops. Talking of heights, rely on an elephant to transport you to the top of Amber Fort. It’s safe, fairly comfortable and, in the absence of fog, offers terrific views. There is a respect for the 100 female elephants. The government ensures they make no more 5 trips each day. This amazing site is outside the main city in Amer (Amber), the ancient capital until 1727. Three Kings contributed to the building of the fort which is structured on 3 levels, while inside are two palaces with glass mosaics, carved screens and mirror work motifs. It was around the City Palace, the Marigold market, and on crowded buses that scenes for the Best Exotic Marigold Hotel were filmed; Judi Dench, Bill Nighy, Maggi Smith and Richard Gere were in town. A five hour drive from Jaipur to Agra, it would seem that every road leads to the Taj Mahal. Tourist tuk tuks, carriages, as well as other forms of transport are carefully managed to avoid polluting this majestic monument in white. It is a marvel to see; architecture in romance. If you are fortunate to stay at the nearby Oberoi, all rooms face the Taj Mahal, and offer an even better view. 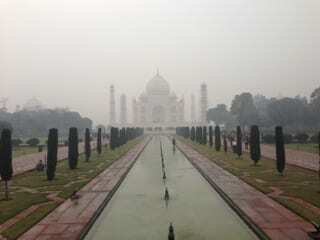 The first site of the Taj Mahal in its grounds is most likely to stay with you forever. – its symmetrical elegance deserves unintruded attention and respect born out of the reason for its existence – a monument to love. The translucency of the white marble projects unique light effects throughout the day. The Taj Mahul was built in 1631 from the labour of a fleet of 1000 elephants,, 4,000 camels and horses and 20,000 people. It took a mere 22 years working with white marble, precious (and non-precious stones) and red standstone. It attracts approximately 20 -30,000 people each day, except Fridays, between sunrise to sunset. Time for a return drive to Delhi which takes four hours. On arrival, the cars registrations are odd and even. The roads are grid-locked. The government has stopped its experiment to assess results. So apart from pollution in the city, the medical facilities offer worthy consideration to combine with a destination which has so much to offer and many memories to take home. The papers report that Elizabeth Hurley, ex-wife of the Indian businessman, Arun Nayar, is in town and last year saw Lady Gaga and Shakira visit for tours and concerts. It’s the place to be.